Maxis tests your urban planning skills with SimCity 3000, a polished city builder and direct sequel to SimCity 2000. 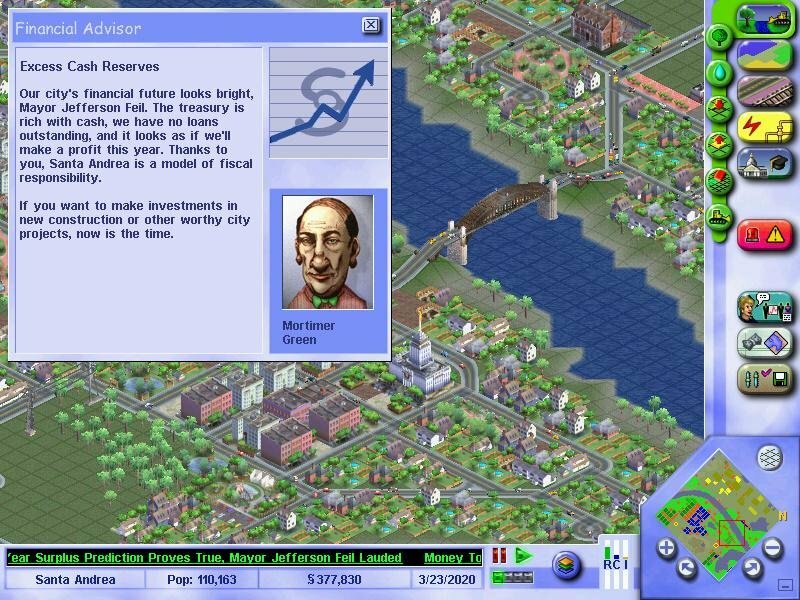 Once again, being mayor is a continual balancing act between giving your people what they want and taxing them so you can fund city growth and services. A well placed precinct will keep this area safe. 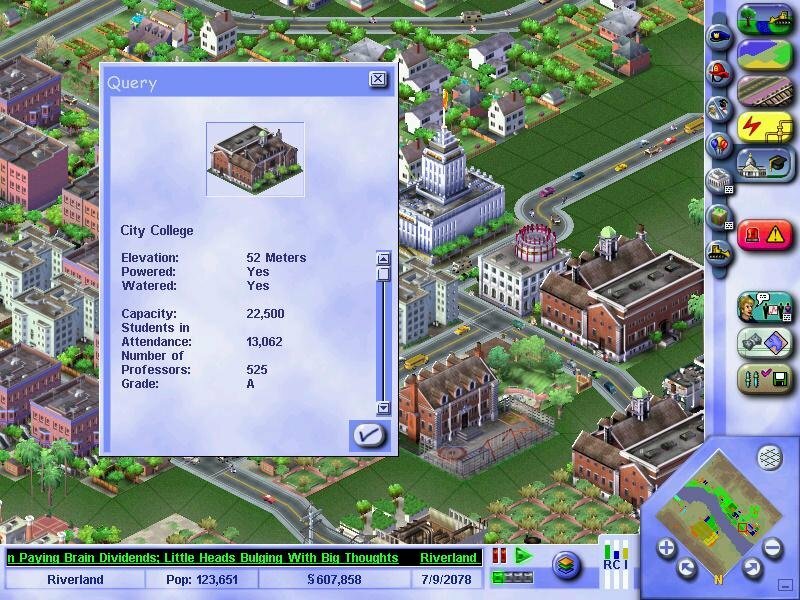 Unlike other management games, SimCity lets you build and control every conceivable facet of an urban metropolis – roads, railways, schools, power plants, water pipes, bus stations, schools, hospitals, you name it. The only thing you can’t control are your citizens and their willingness to move in. 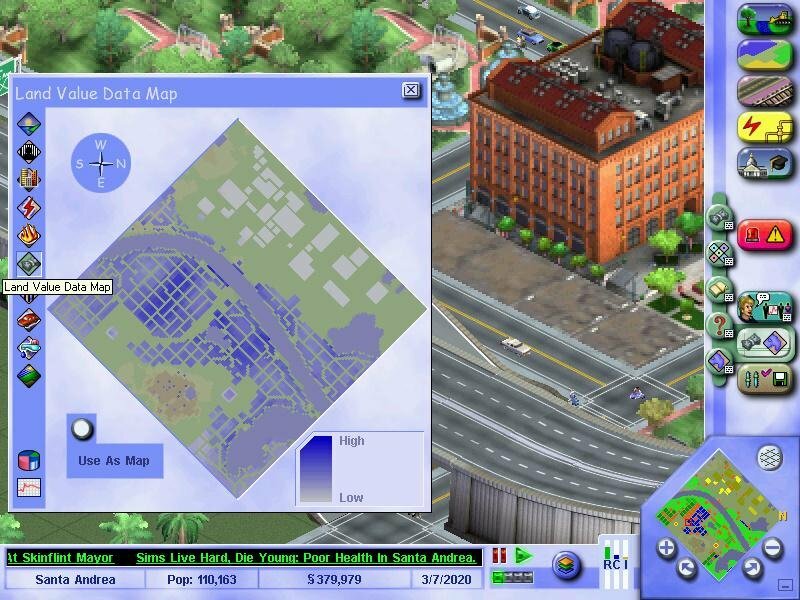 To make your city more desirable, you must zone responsibly and provide adequate services to keep everyone happy. 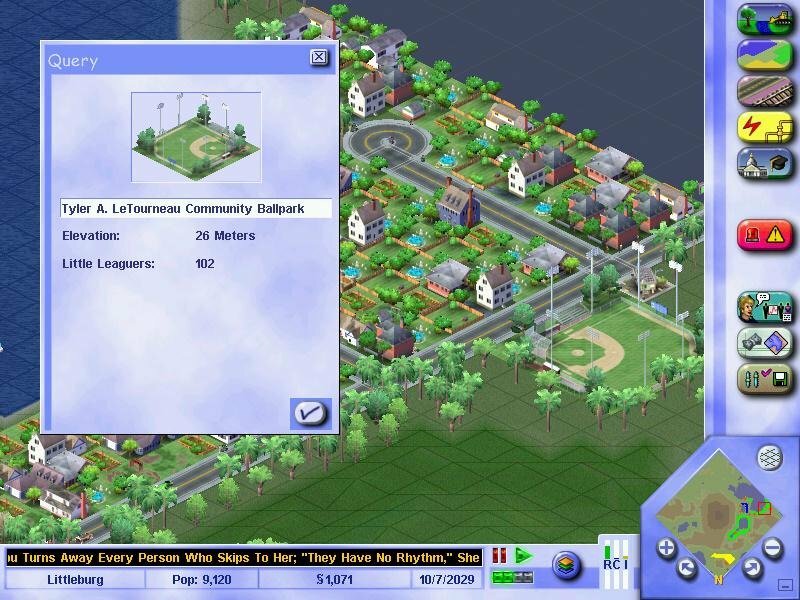 Zoning implies allocating areas where your Sims are allowed to construct buildings and they’re divided threefold – Residential, Commercial and Industrial, also known as ‘RCI’. 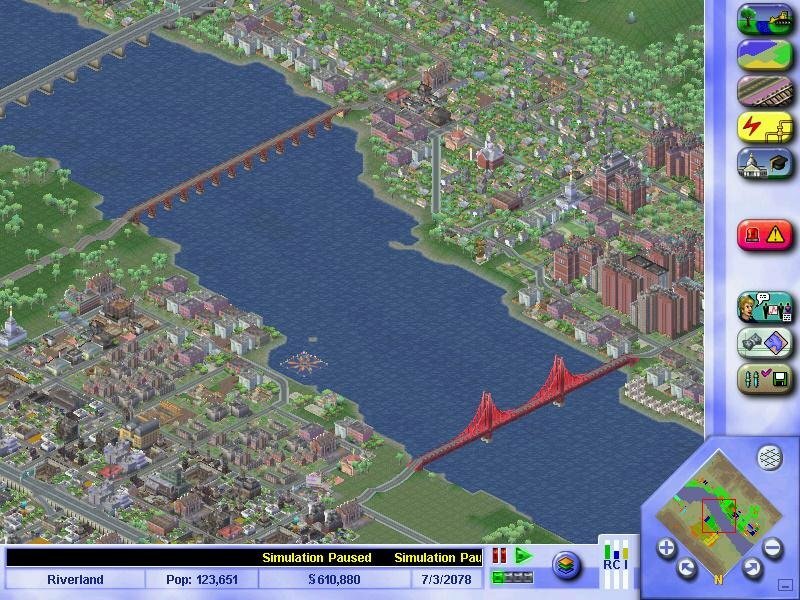 Visually, this game is a rewarding isometric journey. SC3000 was originally intended to be a full-3D game and we should be grateful this never happened. 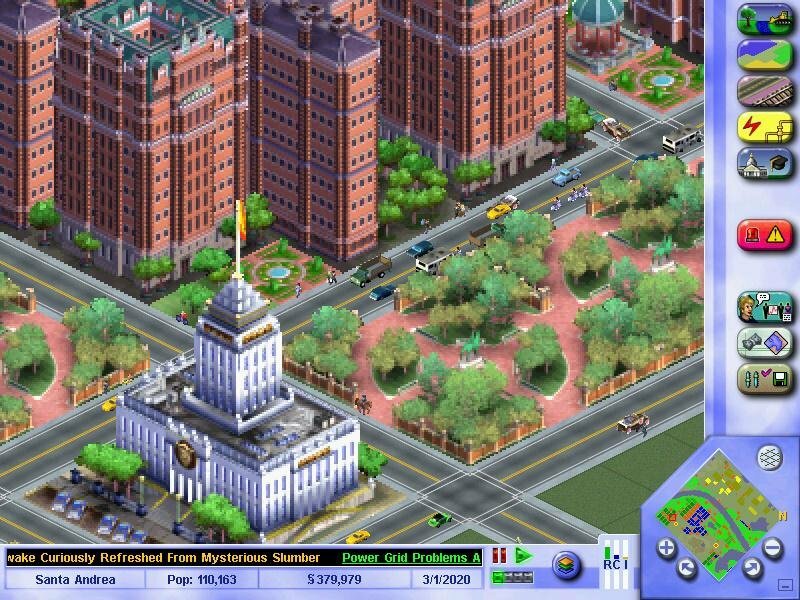 A 3D rendered city would have stripped most of the visual complexity that characterizes this series. 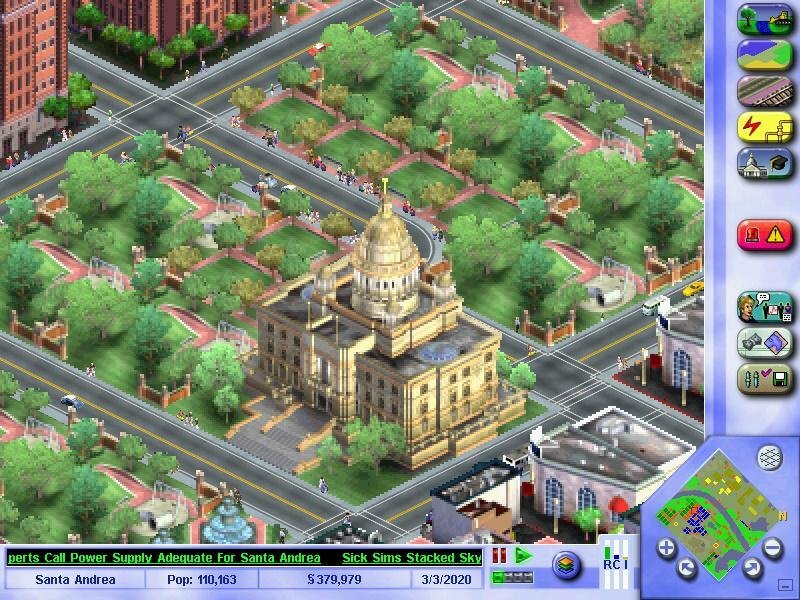 Small sized towns will need basic services like police stations, hospitals and fire stations while larger cities require higher budgets and more advanced buildings. 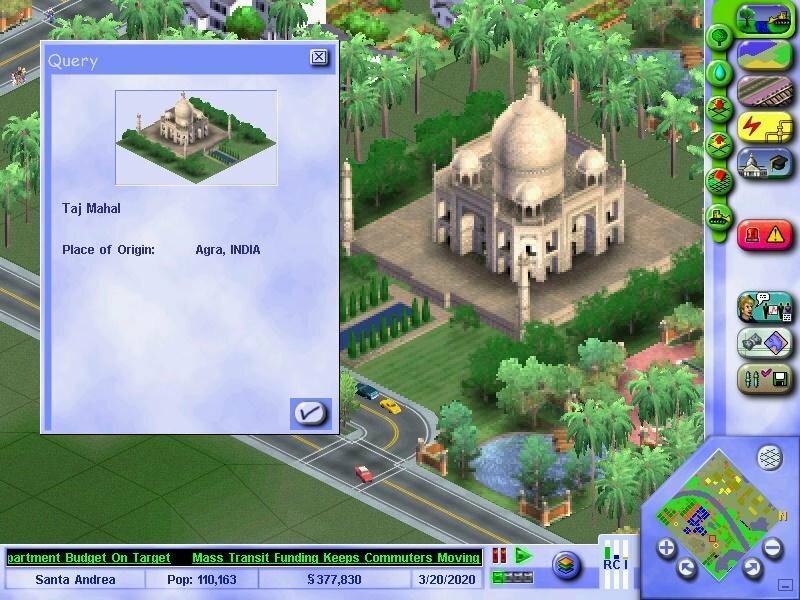 These higher requirements mean that you will need supplemental income, which is done by raising taxes just high enough so your Sims won’t move out. Keeping them happy is the best way at insuring their continued payment. Likewise, make life too unbearable for them and they’ll surely move out. 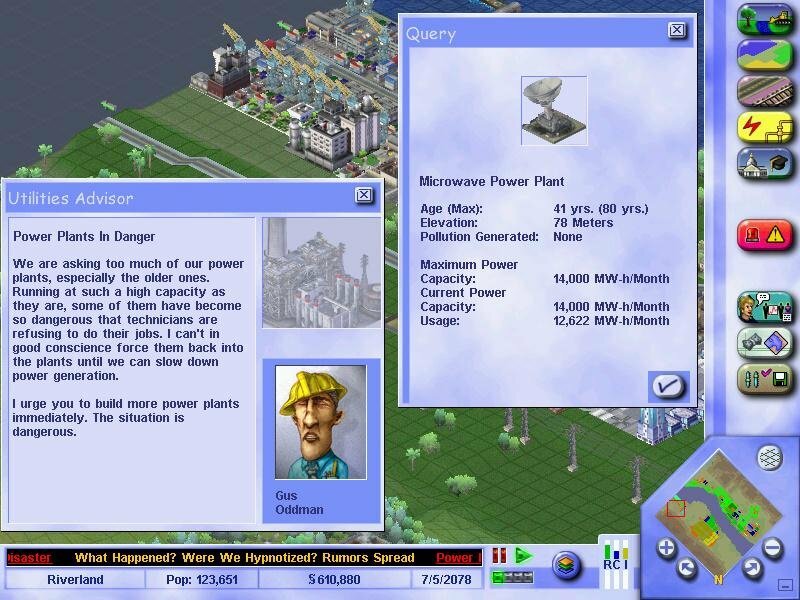 All cities require adequate transit systems, at least one power plant and good water coverage. 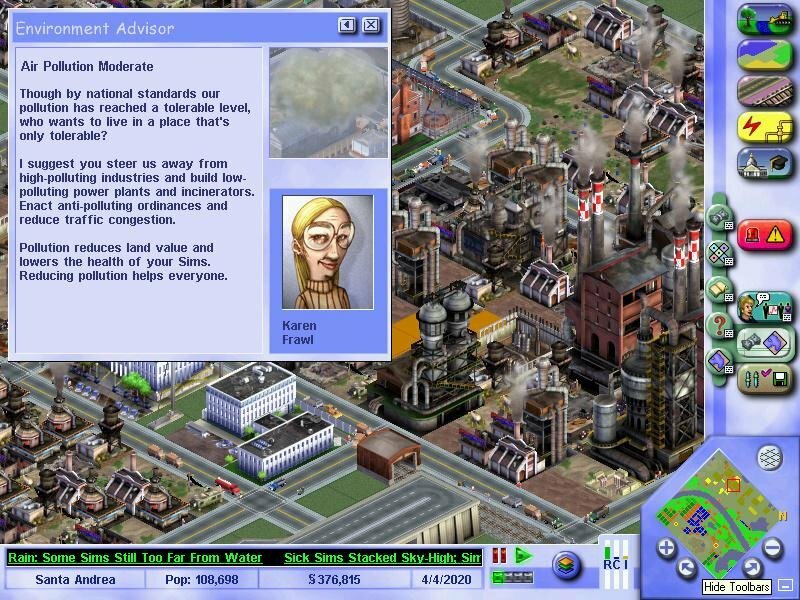 Your metropolis will have to deal with multiple issues as it expands. To make tracking potential problems easier, a total of seven advisers (Financial, Transit, City Planner, Police, Environment, Health/Education, Utilities) will keep you updated on various issues via an intuitive news ticker. The full game has no interactive tutorial (unlike the demo) but a useful ingame mini-encyclopedia lists out just about everything worth knowing. Most times, a single problem may be solved in multiple ways. 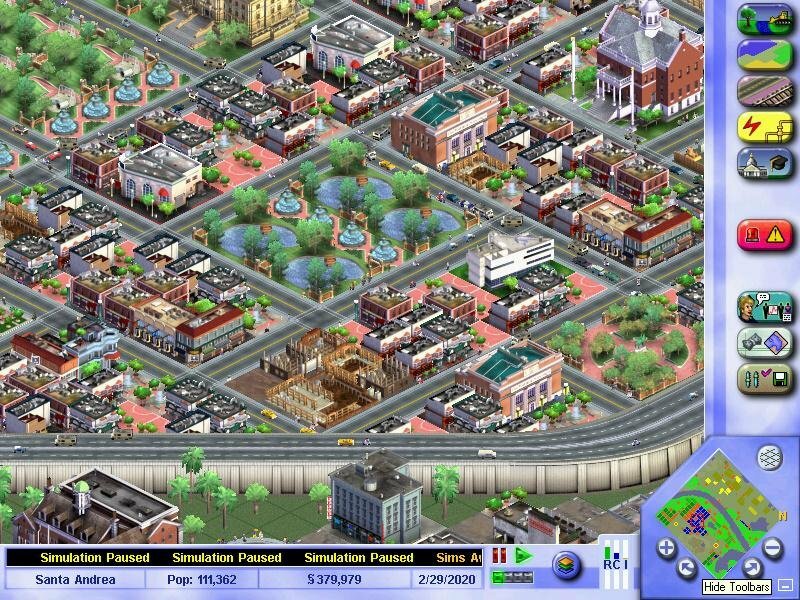 High crime rate is fixed by building more police precincts or you can also increase your police budget and enact crime reducing ordinances (like Youth Curfew or Neighborhood Watch). 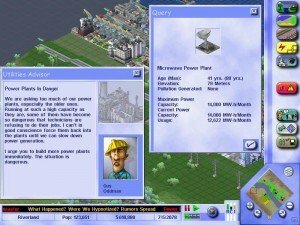 SimCity 3000 also introduces the neighboring town concept, where adjacent cities might come up with deals that may or may not interest you (eg: they may offer to import your excess garbage for a monthly fee). Strangely enough, you can’t approach them with your own deals. 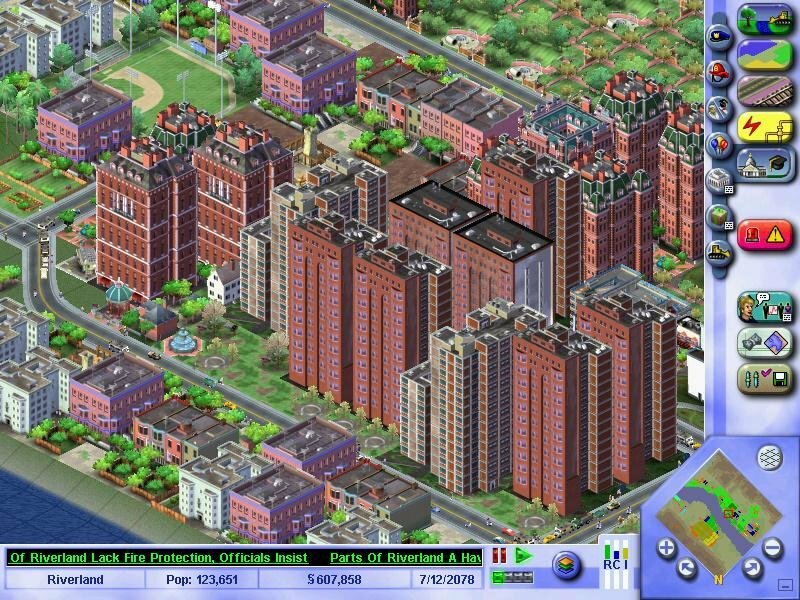 Most often, new players will make the mistake of over-expanding their city only to find that people aren’t moving in. 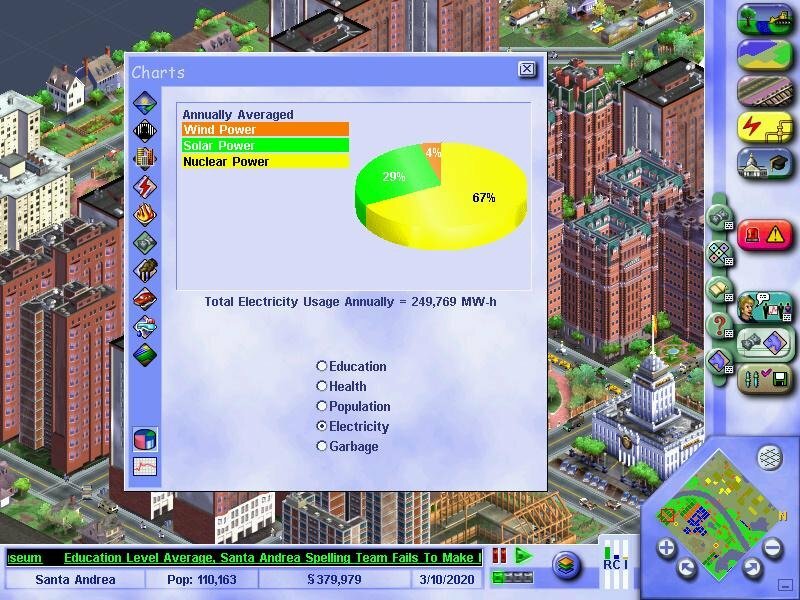 You must only zone new properties whenever your Sims demand it, as highlighted by the very useful RCI ( Residential, Commercial, Industrial) meter. But supposing you’ve already spent your money recklessly; then what? You take out a loan. You often get suggestions from these guys. 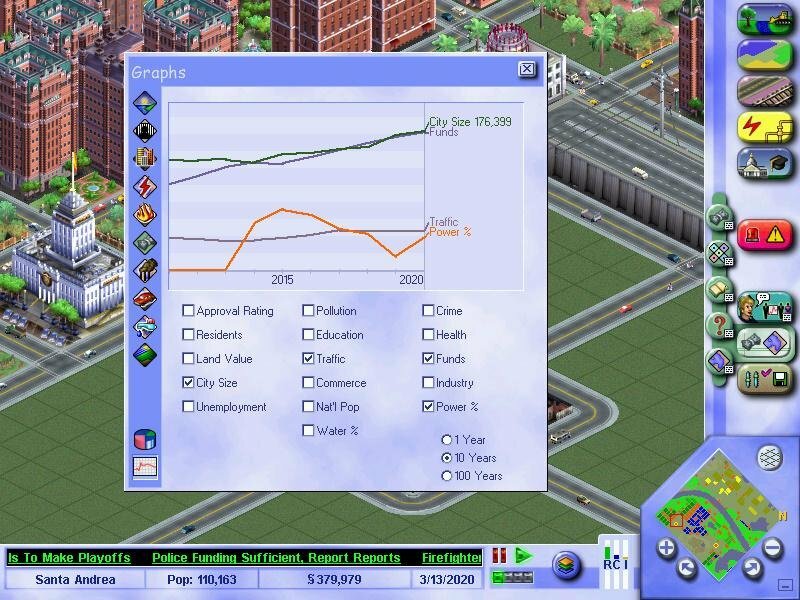 The money lending system is generally more forgiving than in SimCity 2000 but should be avoided all the same. It’s very easy to slip into further debt as you end up borrowing more money to pay back the interest from your previous outstanding loan. Before you know it, you’re in a vicious circle of mounting debts. After some financial mismanagement, I was forced to take out some five or six loans to keep myself afloat. Money which I eventually payed back only after years of cutbacks and raised taxes. 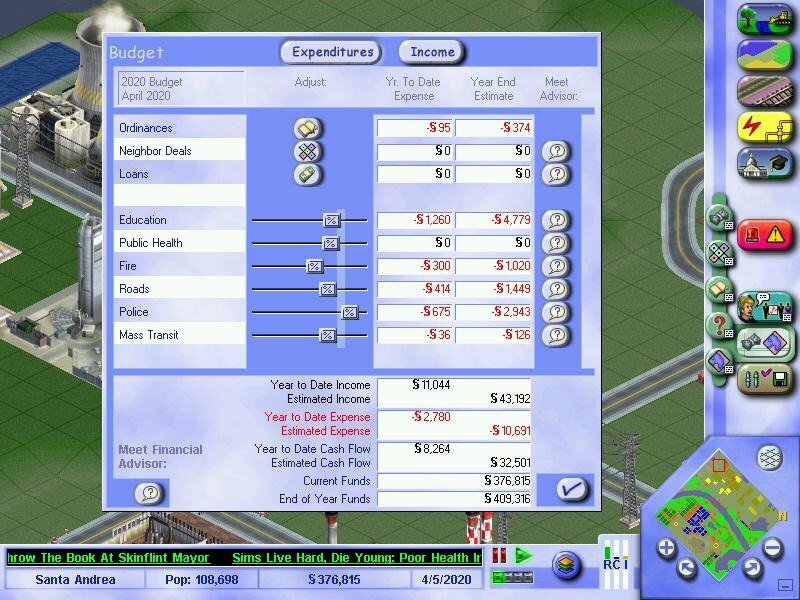 Harsh lesson, but my city exploded financially after its decade long stagnation, so it was worth it. 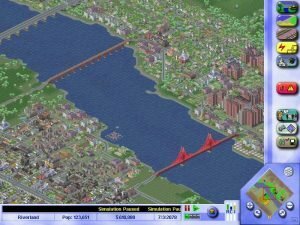 I’ve noticed the game get’s easier beyond a certain point when your city is so densely populated that you won’t have to worry about cash anymore. And once you’ve exhausted every square foot of land, you can’t do much else but proudly stare at your gigantic bristling metropolis with nothing else to do. Granted, SC3000 Unlimited fixes this by adding individual missions. 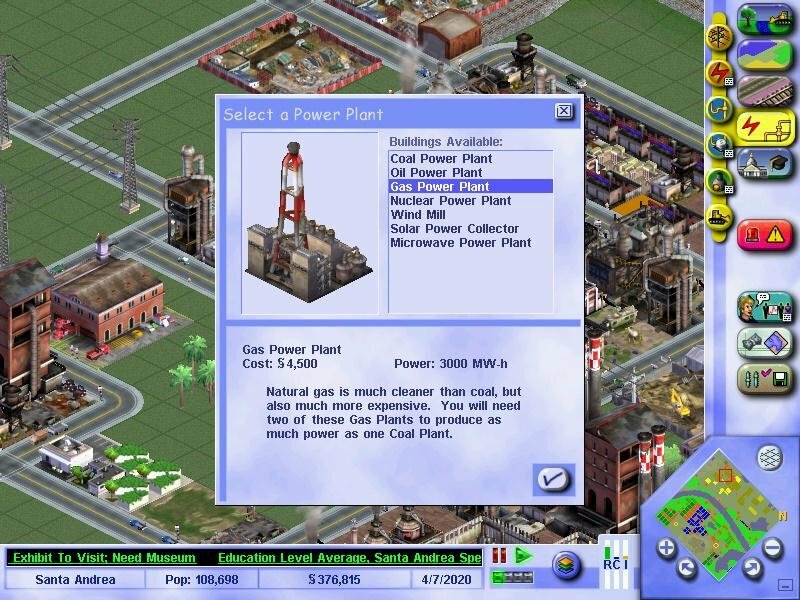 A definitive thumbs up for Maxis. It says i need the code on the cd rom, where can i get that?